Walt Disney was a Creative. In his book “The Wisdom of Walt: Leadership Lessons from the Happiest Place on Earyh” by Jeffrey Barnes writes about the dream Walt had of creating a place for his girls to play while sitting on a bench in Griffith Park. Griffith Park, the ‘Central Park of Los Angeles,’ allows both proximity and perspective. It is nestled high on a hill that sits between downtown L.A., Hollywood, and the Disney Studio in Burbank. It makes me wonder how ideas come to people. Walt was reflecting, thinking, day-dreaming! Then he began to wonder. “There should be a place where children and parents can have fun together.” And in that moment, the dream of Disneyland was born. Have you ever done that? Have you ever been sitting somewhere, doing ‘nothing,’ and suddenly, an idea comes to you? An idea “pops” into your head, and your imagination begins to run wild with possibilities. Suddenly, you, like Walt, have a dream. I believe, along with Dr. Barnes that each of us has the capacity to dream, be creative, innovative. Creativity & Innovation can be nurtured, developed, groomed. There is always room for improvement but the innate ability to think differently than others, is part of our make-up; that is, being made in the image of God. Have you wondered how to develop your creativity? Are you aware of the skills that facilitate innovation? Where would you start if you were interested in growing your creativity & innovation quotient? A good place to begin is the Innovation & Creativity Profile (scroll down the page to the Creativity menu). You will learn about the 8 skills that facilitate the capacity to dream. And identify your strengths and weaknesses so that you can begin your journey. Love the connection to being made in God’s image. 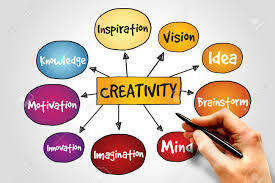 We are creative….every one of us in our own, unique way BECAUSE we are the image of God and God is creative.